My mom first found this one. If you have been to a party at my house, you have probably had these. I love them. 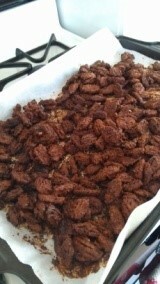 They are the perfect sweet/spicy mix, they use no oil to make them (just egg whites!! 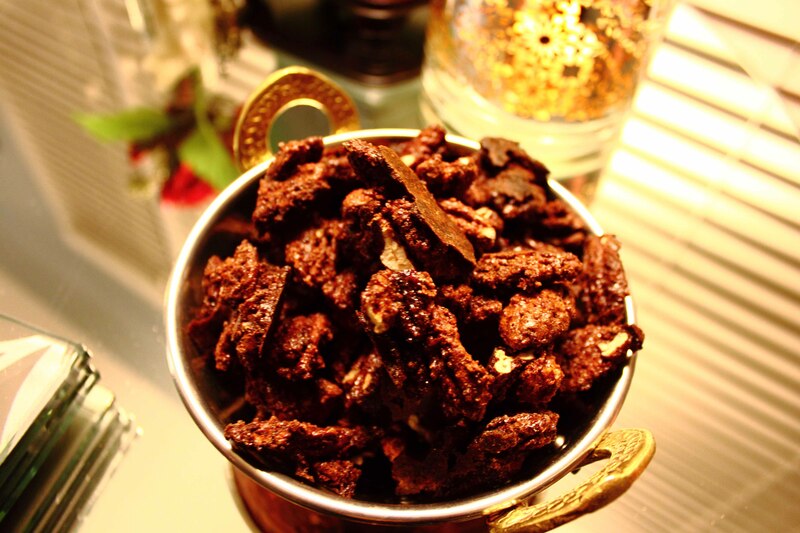 ), can be made ahead of time and store well. Great for this time of year when you need to bring something with you to a party. And they disappear immediately. Maybe because they are as addictive as crack. I always double the recipe. Always. Preheat oven to 250*. Line a baking sheet with parchment paper. 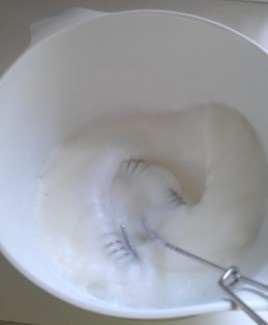 bowl and whisk until frothy. 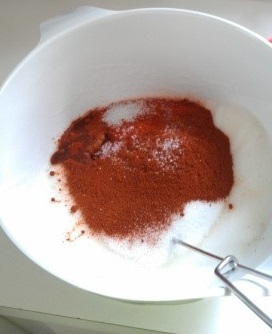 Whisk in the sugar, paprika, Worcestershire, cayenne and salt. 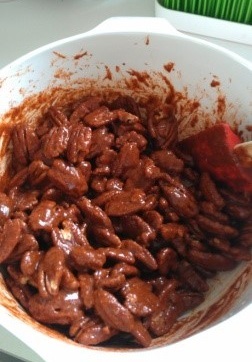 Add the pecans and toss until completely coated. 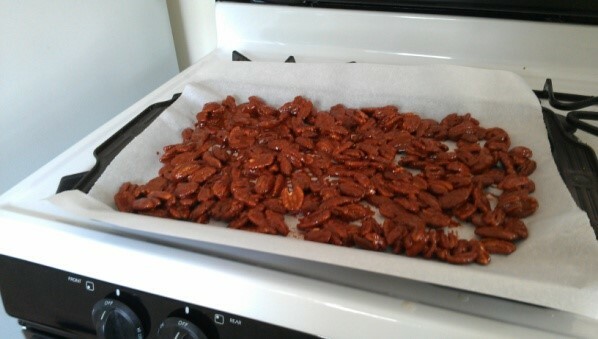 Transfer the pecans to the prepared sheet and arrange in a single layer. Place in the oven & cook, stirring every 15 minutes, until lightly colored and dried out, about 1-1.25 hours. warm, loosen the nuts with a metal spatula (if not, when it is cool, you’ll have to crack them apart), and set aside to cool before serving. 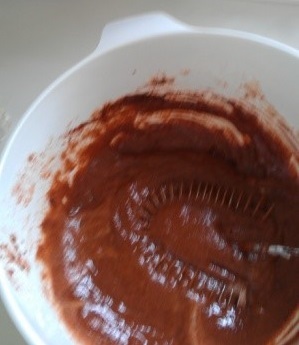 Picture from after baking. Prep pictures shows a double-batch. I can’t recommend strongly enough doubling the recipe. Single batch makes 2 cups.